Avengers: Endgame will be released in April 2019. IN the relatively short history of trailer drops, has there been a trailer drop as feverishly anticipated as this trailer drop? Let's all say it together again: trailer drop. Specifically, Avengers 4 - which we now know will be called Avengers: Endgame. The first trailer is finally here and in its first six hours, it's already clocked up 19 million views on Marvel's YouTube channel alone. Paul Rudd stars in the new Avengers movie. Putting aside the fact that Endgame should be End Game, the name and what's teased in the trailer confirms what Marvel Studios head honcho Kevin Feige has been saying for a while - this movie, the 22nd Marvel Cinematic Universe, will mark the end of an era for the MCU. Many of the original MCU heroes such as Captain America and Iron Man are expected to bow out in Endgame, so it should be an emotionally poignant movie for fans that have followed the franchise for a decade. Avengers Endgame has already clocked up 19 million views on Marvel’s YouTube channel alone. The trailer doesn't really answer how our beloved fallen heroes (eg. Black Panther, Doctor Stranger, Spider-Man) will resurrect (and they will be resurrected, there are sequels afoot! ), but there are some hints to what we should expect next April when the world rushes to see the second part of Infinity War. After all, that cliffhanger ending dictates it so. 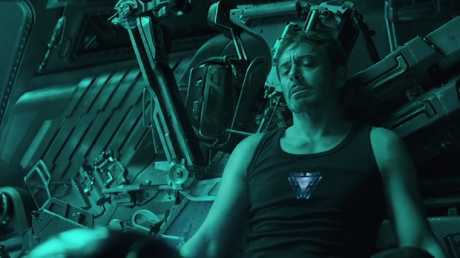 Tony Stark is floating through space in a dead spaceship. After four days without food or water or fuel, he records a message for Pepper, saying, ominously, "part of the journey is the end". Black Widow helpfully recaps the events of Infinity War, that Thanos wiped out 50 per cent of the world's creatures. 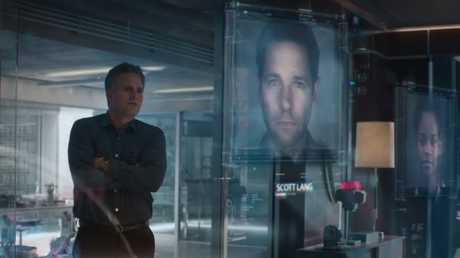 There's a very worrying sign that Shuri, who we didn't see disintegrate in Infinity War, is also gone - her picture is seen alongside Scott Lang's, who the gang thinks is also gone because he was trapped in the quantum realm when Thanos' great reaping happened. 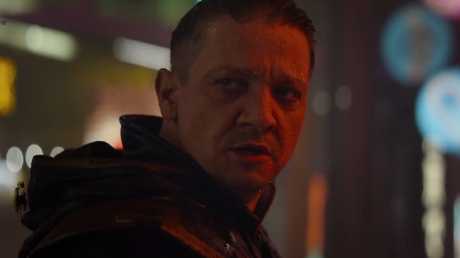 We see Hawkeye, absent from Infinity War, but he may be not who you think he is - the much edgier hairdo and costumes, plus that dead eye look, hints he may have taken on the darker "Ronin" persona. 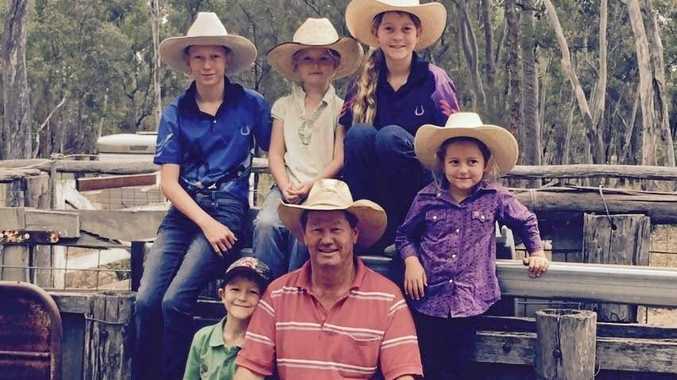 This reveal is overlaid by voiceover from Cap that "we lost our family", suggesting Hawkeye's family, a wife and two kids, may have been among the unfortunate 50 per cent. It should be an emotionally poignant movie for fans that have followed the franchise for a decade. 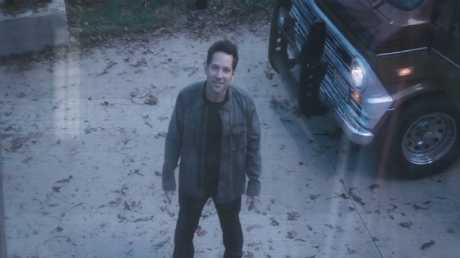 Scott Lang shows up at the Avengers compound, which means he must have escaped the quantum realm without the aid of Hope, Hank and Janet, who all crumbled into dust at the end of Ant-Man and the Wasp - it's nice to see that even with all the loss, he hasn't lost his sense of quippyness. Black Widow optimistically says to Cap: "This is going to work, Steve" to which he gloomily replies "I know it is, because I don't what I'm going to do if it doesn't". The Avengers logo is formed by dust reintegrating, because all the people who disintegrated will be made whole again — get it! 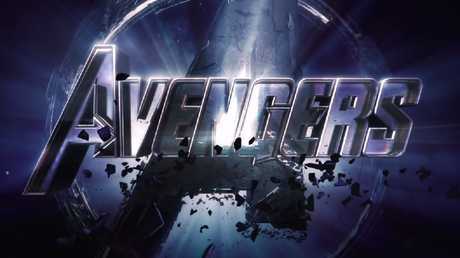 The Avengers logo is formed by dust reintegrating, because all the people who disintegrated will be made whole again - get it? Captain America's glorious beard is gone! RIP.